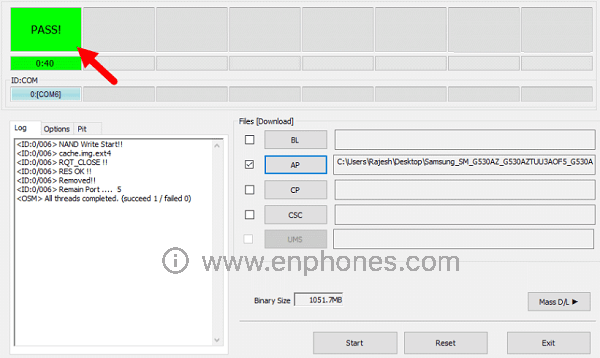 Hi guys, welcome again in +Enphones tutorials, today we are talking about installing stock rom on android galaxy device, so here is an easy way to install Samsung Stock ROM using ODIN on your Galaxy Android device, So if you are using Custom ROM and want to install official Samsung firmware then this article is for you. As you know, there are many advantages of using custom ROM on your device but along with it, there might be some disadvantages also. 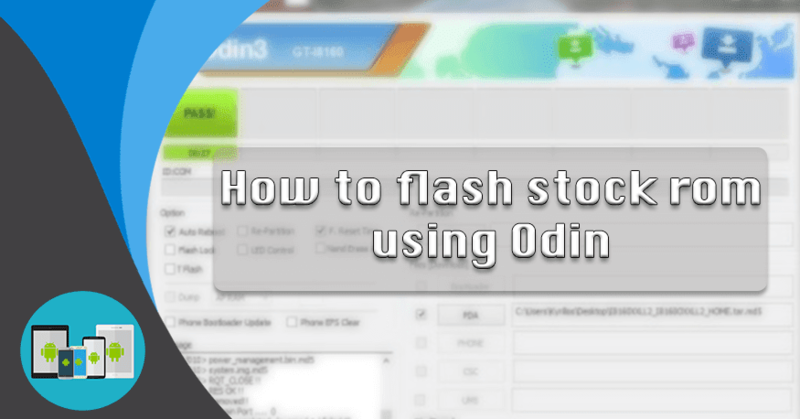 if you are installed a custom rom before and you want to return it to your Stock ROM, or you need to flash your android with an updated official rom, follow this tutorial using Odin on Computer. 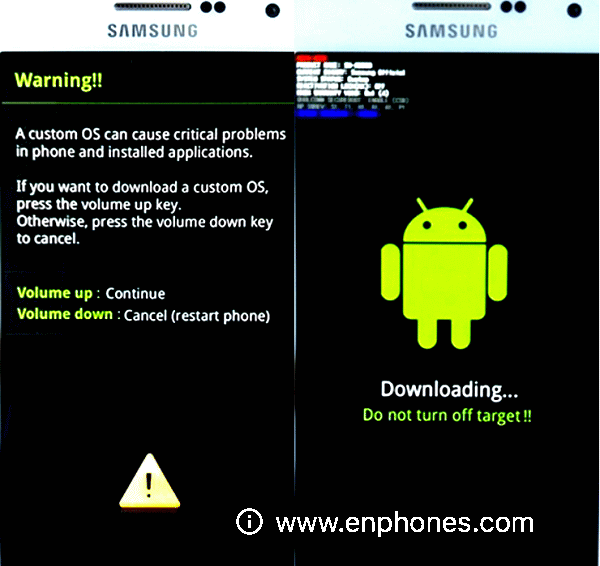 - Stock ROM is an official firmware which is preinstalled on every new device. - Custom ROM is modified version of Operating System such as Cyanogen. I suggest you take backup of your device before proceeding any steps. So let’s start the process. A Samsung Device battery should be greater than 50%. Stock Rom image according to your Samsung device model. Where to download Stock Firmware? You can download the system firmware via Sammobile or Updato website which you will need your model number to get the correct firmware and make sure you select the correct region as well. 1. Turn on your Samsung device into Downloading mode. by shutting the device down and pressing the Power key+ Home key + Volume down key Simultaneously until the warning screen appear, and press Volume up key to boot into downloading mode. 2. Connect the device to computer with USB cable and launch Odin on your computer, when the software successfully detect your phone, you'll see the Added!!! message on the Log section. Or you can tell it from the light-blue box on the ID:COM section. 3. On Odin3, click "PDA" or "AP" (the name differs on the different version of Odin3), and choose the ROM file you have downloaded. Then click "Start" on the bottom. The software will start the flashing. You can see the flashing progress on Log section. 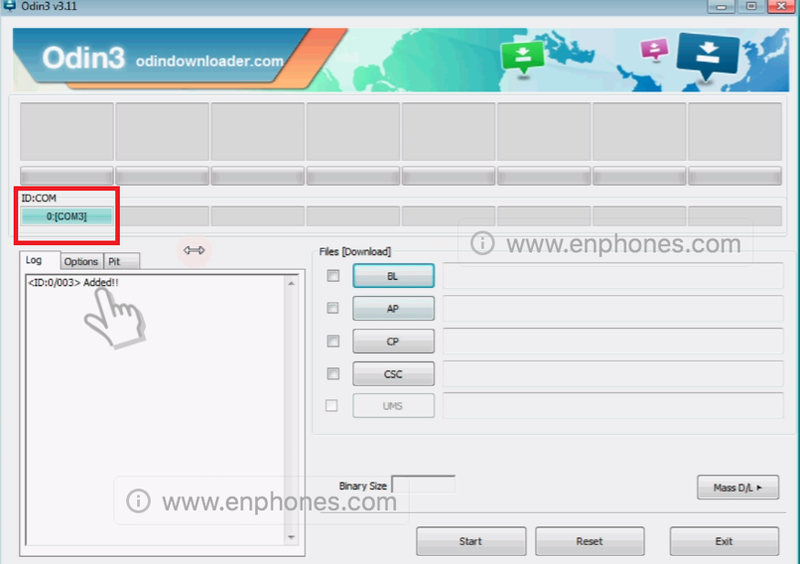 That all about how to install android Stock rom on phone from pc using Odin tool.